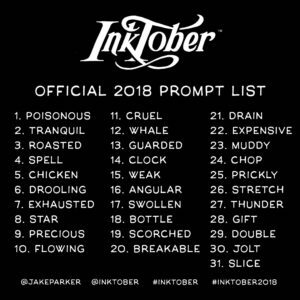 Inktober and Drawlloween Are Here!!! If you don’t know them, you’re gonna know them! Starting today, it’s a drawing per day – two if you’re in it for both events. Every day there is a prompt and you draw it. Simple, right? For Inktober it’s an ink drawing and for Drawlloween it’s a drawing in whatever medium you want. 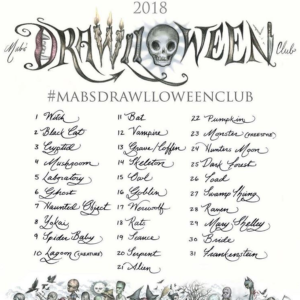 Of the two prompt lists I prefer Mab Graves’ Drawlloween because it’s more October-related. It’s lots of spooky fun and it’s super interesting to see other artists’ interpretations of even the most familiar monsters. Spooooooky Drawlloween prompts from Mab Graves! On the other hand, I think the Inktober list is more challenging because it’s more abstract. The prompt of the day could spark instant inspiration or leave you absolutely stuck, which is really the point of prompts, isn’t it? Last year I did both for the first time, something I don’t recommend if you’re short on time! I started the month off strong, then ended up a couple of days behind and would play catch up. Then I would do well for a while and end up behind again. I think I did most of the last week on the last day! 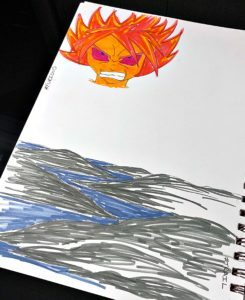 So I wasn’t super great about getting the drawings done every day, but I was determined to get them all done and I did. 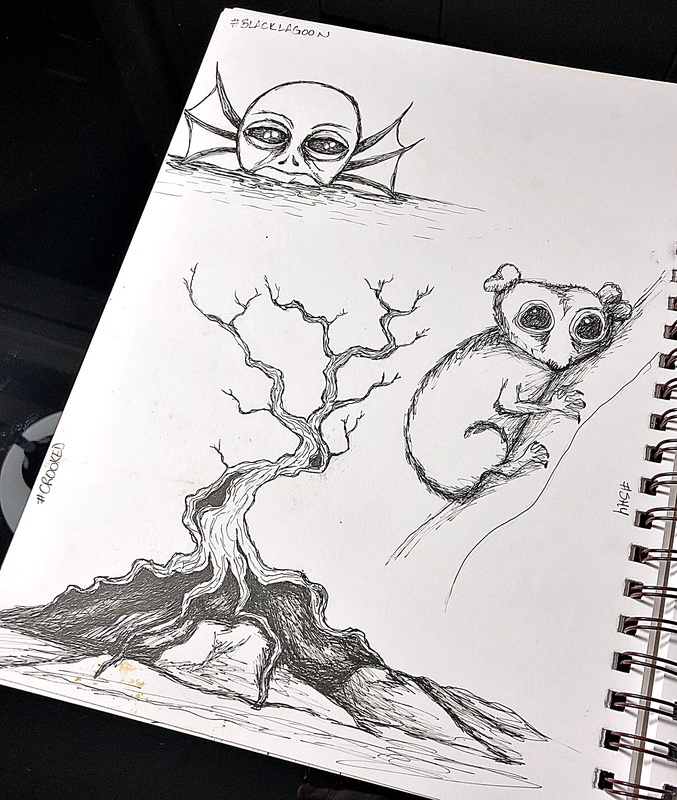 Inktober and Drawlloween are two more reasons that October is my favorite month! If you follow the hashtags you can check out all the cool drawings that come out this time of year. Come November 1st, I’ll be posting the next section of my October sketchbook – for better or worse!